Listen to the story read by Sean (parent) 2009. This is the story of a rather silly Emperor (a king) who really loved new clothes. One day two wicked men came to the palace to see the emperor, they say they can weave magic cloth for very special clothes. The Emperor is very exited! What will happen next? 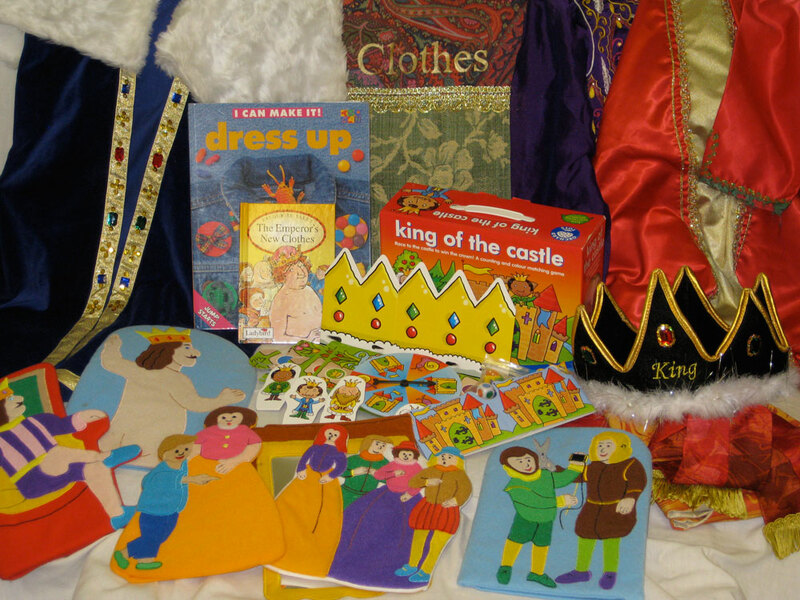 There are lots of lovely dressing up clothes in this storysack! *Made by Mrs Collinsbeare’s Year 3 class and Lisa Bennett 2009, with sponsorship from Boden UK.